Chile is looking to strengthen trading links with South Korea in a bid to cushion itself from the fallout of the growing trade war between China and the US. “Due to the uncertainty caused by growing protectionist tendencies we are seeking ways to make our foreign trade more resilient and ensure we have the tools to deal with these challenges,’ Rodrigo Yáñez of the General Directorate of International Economic Relations told El Mercurio. Chilean exports to South Korea have grown significantly since the Free Trade Agreement came into force in 2004. According to data provided by Direcon, shipments have grown by an annual average of 12 per cent, reaching US$1.42bn last year. However, a number of products were excluded from tariff preferences under the terms of the FTA, many of them from the agro-industrial sector. 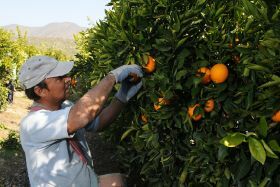 In particular, the Chilean government said it wished to expand market access for agricultural products such as oranges, clementines and beef. “These products are a priority for Chilean exports and currently have no tariff reduction benefits for their entry into South Korea,” Direcon said. Chile is also keen to remove non-tariff barriers. 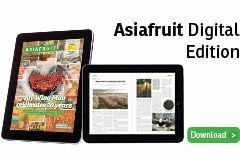 South Korea is currently conducting studies on pest risk analysis, which could pave the way for the entry of Chilean avocados to the South Korean market. South Korea is now the sixth biggest market for Chilean exports, accounting for 6.2 per cent of the country’s shipment total.